John F. Krager, 66, of Manchester, Iowa, passed away on Sunday, December 13, 2015, at his residence. He was born on January 28, 1949, in Clinton, the son of Kenneth and Laverne (Beacher) Krager. John was raised and educated in the Delaware area. He attended Maquoketa Valley High School. He was a U.S. Army Vietnam Veteran and served three tours in Vietnam. John was united in marriage to Susan Fierstine on July 8, 1972, at Greeley United Methodist Church. Over the years they resided together in the Manchester area. John worked for the railroad for 10 years and then worked for 20 years at Tredegar. John also owned and operated Krager Painting and Cleaning. John will be remembered as one who enjoyed fishing, hunting, and snowmobiling. 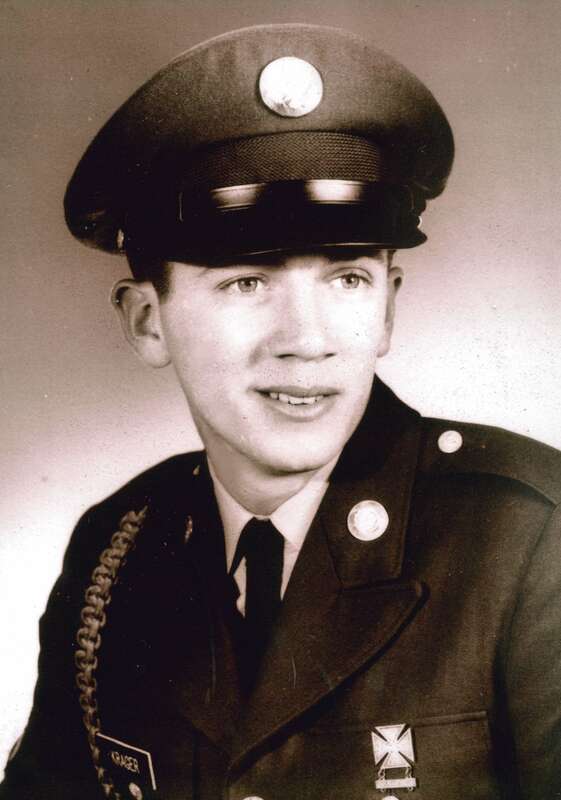 He was a member of the American Legion, the VFW, and Vietnam Veterans of America. Survivors include his wife, Susan Krager of Manchester; three brothers, Cliff (Carolyn) Nelson of Des Moines, Dennis (Danielle) Nelson of Lake Park, and Clay Willie of Amana; and his special companions, Jade and Julie. John was preceded in death by his mother, Laverne; his sister, Gloria Clemens; and his maternal grandparents, Anna and Frank Beacher. The family requests memorials in lieu of flowers. Visitation: 1:00 – 3:00 p.m., on Saturday, December 19, 2015, at Leonard-Muller Funeral Home, Manchester, Iowa.